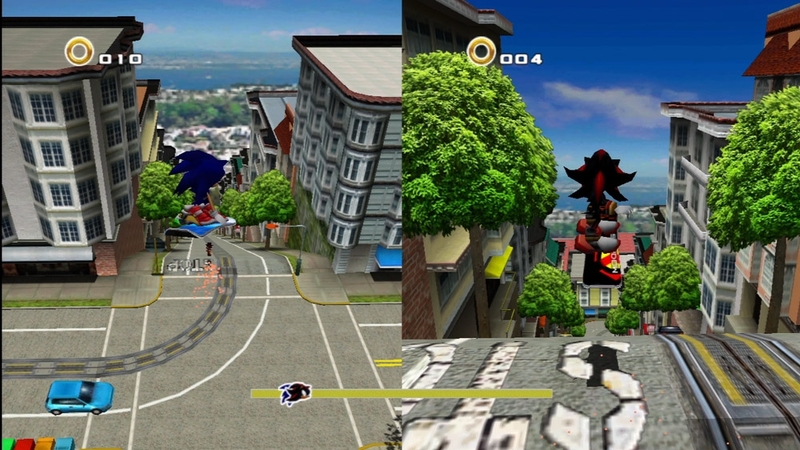 XBLA Marketplace has once again leaked a Sonic game-this time the much suspected re-release of Sonic Adventure 2. So far, not much is known, other than leaderboards and DLC being available-whether this means an SA2B expansion or the original Dreamcast DLC returning is unknown. However, notably 1-2 player “offline” has been mentioned-a disappointment to those hoping for global races. However, one screenshot posted on the Marketplace shows the PS3’s circle button as the snowboard “brake” button, proving a PSN release is also on the cards. Other minor differences include a revised life icon for Sonic and Shadow, and a new ring icon, plus some revised lettering-impressively, SEGA seem to have retained the SOAP shoe license, as the SOAPs are still intact as Sonic’s footwear. Whether the game will support Widescreen HD is up in the air. So, will you be grabbing this? Or will you stick to the DC original/GCN port? Let us know in the comments! Sure I will be getting the Xbox 360 version.